As Christmas approaches, my family sets aside time to watch the classic Christmas movies from my childhood. We own them all on DVD and, even though many of them were made in the late 1960’s and early 1970’s, my kids still love them. Of course, I watch them through a different lens than I did when I was small. Now, I watch them with my little queer eye and spy plenty of queer subtext to keep me entertained. Am I saying that characters from these classics are gay? No. 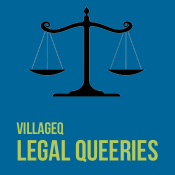 Am I saying that you can read whatever queerness you want into them? Why, yes I am. 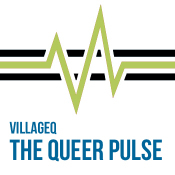 Some of them simply tell a story that the queer community can relate to and some of them seem very stereotypically gay. So, put on your Gay Glasses, squint and take a look at my favorite characters from classic Christmas cartoons. 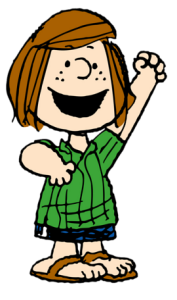 Peppermint Patty defies the typical gender norms in the Peanuts universe. She wears a shirt and shorts and shows no interest in dresses. Her hair is cut in a simple bob and she goes without headbands and bows. She is the captain of the baseball team. 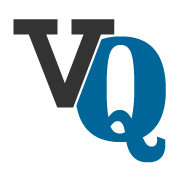 Charles Schulz himself said that he wrote the character in response to the women’s liberation movement of the 1960’s. Let us not forget that Peppermint Patty’s best friend, Marcie, calls her “sir” and no one really knows why. Peppermint Patty does have a crush on Charlie Brown – is it a misguided crush because she doesn’t yet realize that she should go to an all women’s school and let lots of ladies call her “sir” or is she truly in love with Charlie brown and just a lovely non-stereotypical girl? When you wear the Gay Glasses, you get to decide! Hermey is the elf who isn’t like all the other elves and has to leave the comfort of home to find his true friends and discover where he belongs. 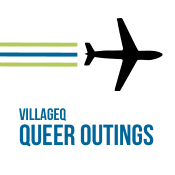 Is this not a journey that many a queer person has to make? 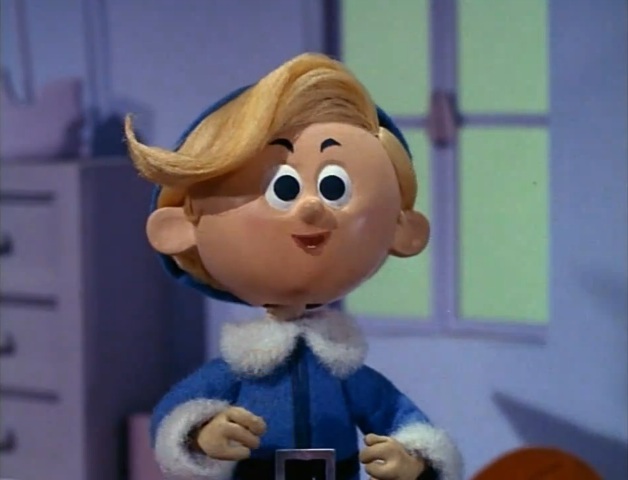 I like to think of Hermey as a little gay elf but, even if you don’t think of him that way, his story is similar to those of many in the LGBTQ community. He asks the quintessential question, “Why don’t I fit in?” Oh Hermey, you’d be welcome at my queer Christmas eve party anytime. 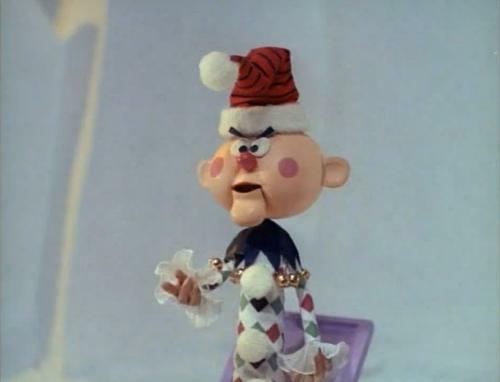 Charlie lives on the Island of Misfit toys – again with the misfits! He has a feminine voice and he waves those hands around like a terrible gay stereotype which makes him all the more lovable. With my Gay Glasses on, I imagine that he constantly hits on Hermey who is grows increasingly uncomfortable because Charlie is just not his type but he doesn’t want to tell him because Charlie cries so easily. 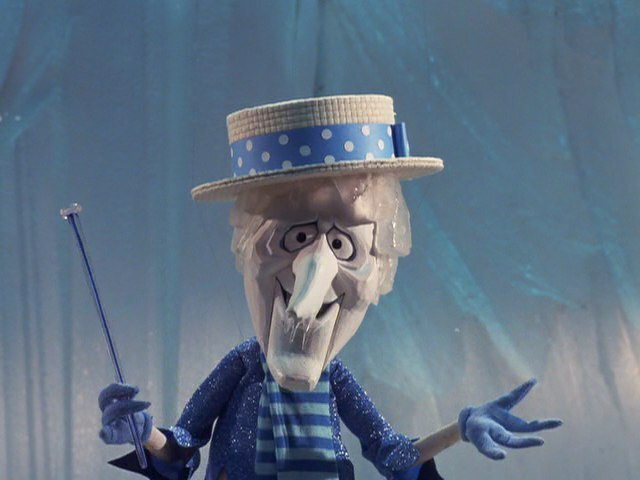 I watch The Year without a Santa Claus for one reason and one reason only – the epic musical duel between the Miser brothers, Heat Miser and Snow Miser. I’ll be honest – I love them because they are the two biggest drama queens ever. The way Heat Miser says, “Well, well, well…” to Mrs. Claus is just so gay. 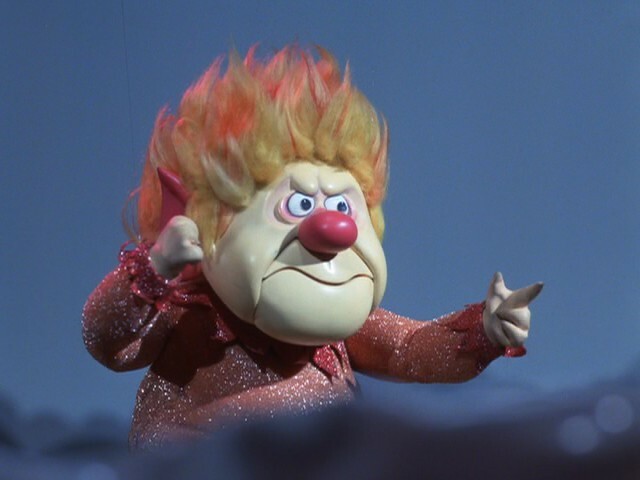 If that doesn’t convince you, Harvey Fierstein played Heat Miser in a 2006 life-action remake. I’m not sure you even need Gay Glasses for this one. *Bonus Miser Brother Stereotype: They are both completely devoted to their mother, Mother Nature. Almost any character can be queer with Gay Glasses but, with some of these, you don’t have have to try very hard to see it!